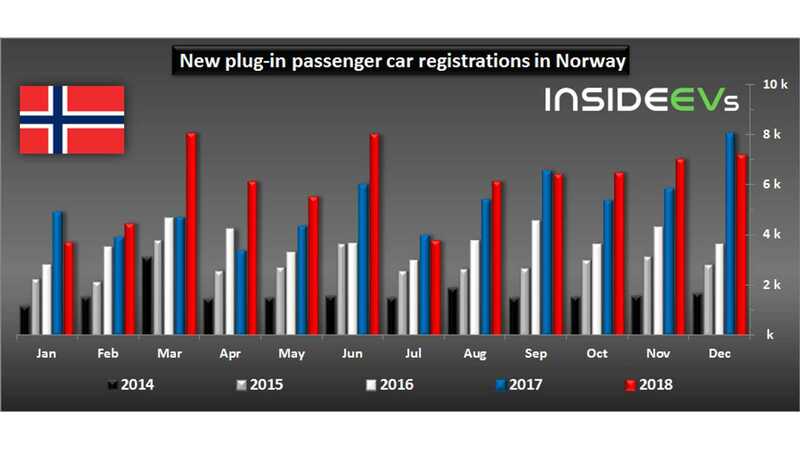 Norway closed the year 2018 with 7,171 new passenger plug-in electric cars (down 10.7% year-over-year), but as the overall market also shrunk, the market share remained high at 57.5%. Overall, it was a pretty good year as plug-ins took 49.1% of the total new registrations (72,638 - up 17% compared to 2017)! 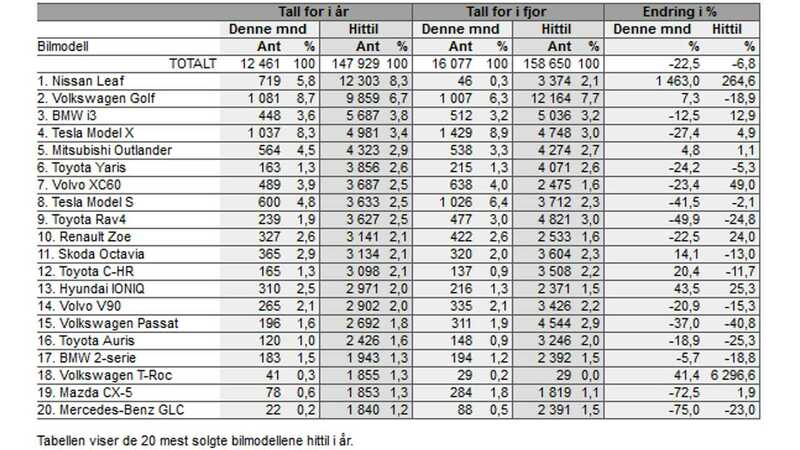 Besides 49.1% market share for plug-ins - highest in the world - Norway is also the only country where an all-electric car is the best selling one. 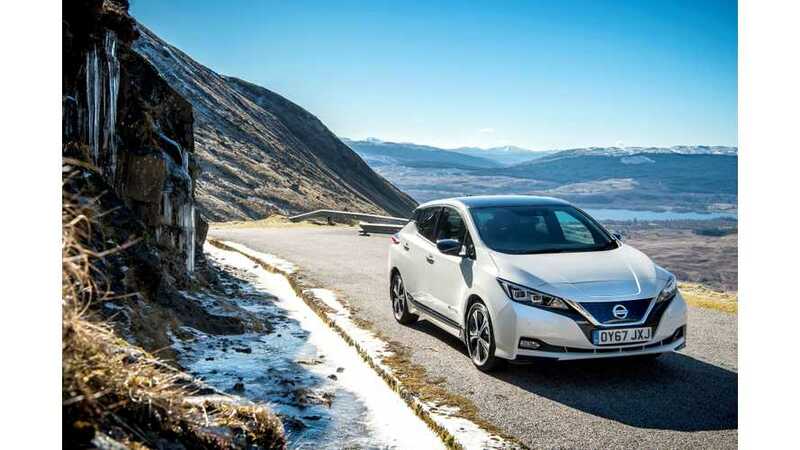 We are talking about the Nissan LEAF, which with 12,303 was #1 (8.3% of total volume), far ahead of Volkswagen Golf (three versions: BEV, PHEV and ICE). 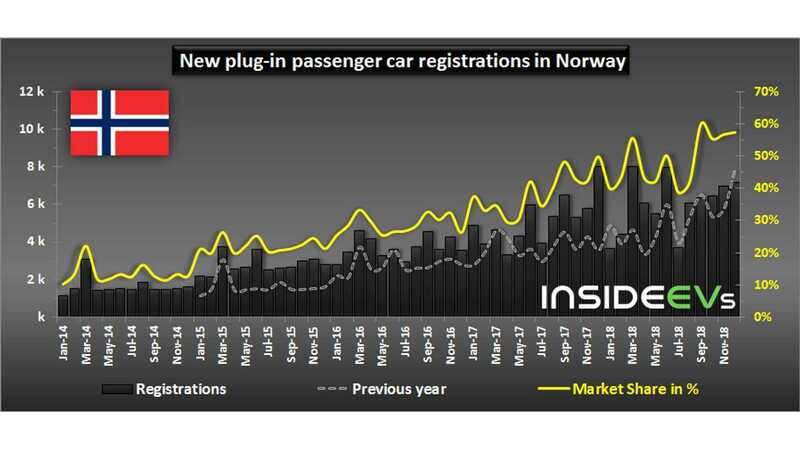 It's a great success for EVs and for the LEAF, which in Norway didn't disappoint expectations. Most of the 9,859 Golf's sales are e-Golf, and in the next two places we see premium cars - BMW i3 (5,687) and Tesla Model X (4,981), which complement the unusual top four. Model X, by the way, seems to be the top selling plug-in for the month of December (1,037), but didn't repeat with the 1,429 record from 2017.